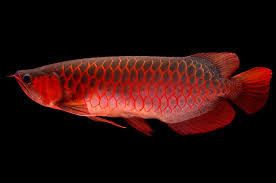 Top quality Grade AAA Asian Arowana fishes from genuine breeders available on sale now, all our fishes are very healthy and will be delivered alongside CITES and all required documents.We can ship to all locations of the united states , Canada and anywhere in the world.Currently in our arowana farm we have the following types of arowana fishes available Asian Red Arowana Super Red Arowana Chili Red Arowana Malaysian Red Arowana Fire Red Arowana Blue Arowana Blue And Green Arowana 24K Gold Arowana Platinum Silver Arowana Red Tail Golden Arowana Black Arowana Platinum Black Arowana And many more... We also have available other types of decorative fresh water fishes available on sale, we can setup complete tanks for clients who are interested, our arowana fishes sizes ranges from 4inch to 30 inch and prices vary with sizes. we also work on negotiation.For further details feel free to contact us now. Buyers are require to send to us a valid cell phone number and a valid contact email address upon inquiry..